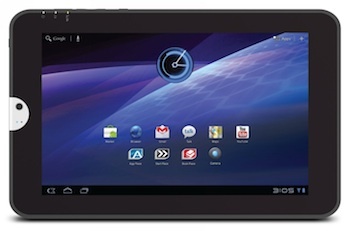 I am in the market for an Android tablet and started looking for the options in buying Android tablets. We have an Apple iPad 2 and it has set the bar very high. 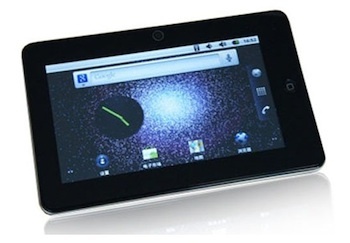 But, the Android tablet market is still attractive for many reasons. I was just amazed at the variety I found in the marketplace with a varying selection of screensizes from 7 inches to 10.2 inches. 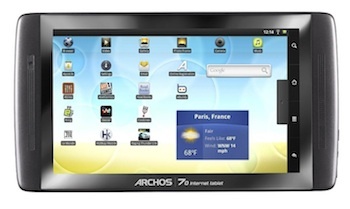 The screens varied from resistive touchscreen to capacitive touchscreen. The processors were also varied from puny to ones that could power a desktop. They were running various versions of Android from Froyo 2.2 to the latest Honeycomb 3.1. 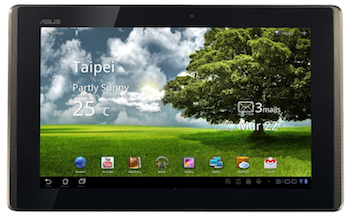 So here are a few pointers when comparing and deciding on an Android tablet. With so many varieties of tablets available, I have included pictures for those with over 3.5 star rating in all price ranges to highlight them. All 3 tablets in the $400-$500 range are available in 32GB model for more than $500 and less than $600. 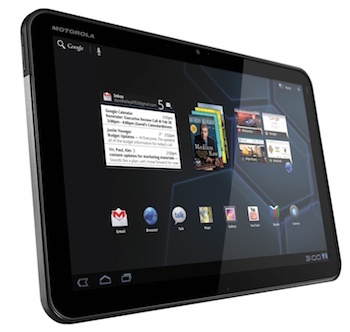 Even though the Motorola Xoom debuted at $599 the price was eventually slashed to compete with Apple iPad 2. 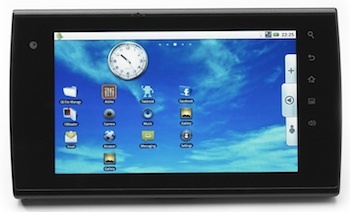 Of course, this has to be the most popular tablet ever. No introduction needed here. In fact, we cover a whole lot of news about the iPad in our iPhone/iPad blog. 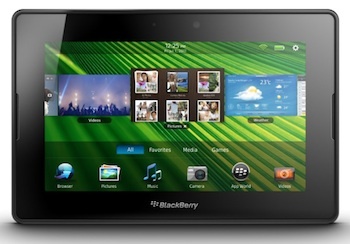 Consumer-friendly experience that redefine the possibilities of mobile computing. The 16 GB internal memory offers ample space for media storage. Out-of-the-box enterprise support and a robust development environment. Expected to come out this summer, I am keeping an eye on what Amazon has in store for us this summer. 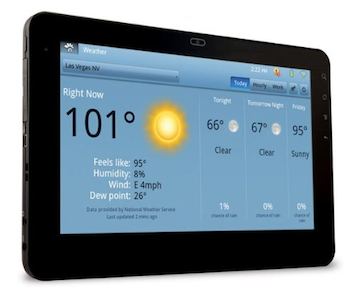 Make sure you bookmark this article and check back as I will keep adding all the hot and upcoming tablets in this page. 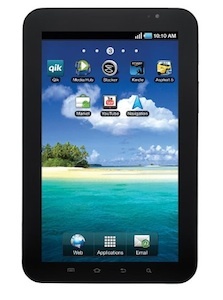 I hope to make this a ‘go to’ page when choosing a tablet as a gift or for yourself. 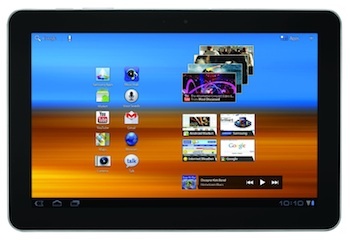 Android tablet is what I like most! It’s very handy and I think very convenient to use. I like tablets. Especially those one with an Android OS. My favourite is the new Galaxy Tab 10.1. In the future i will buy it. Great listing. I didn´t know that there are so many tabelts on the market. 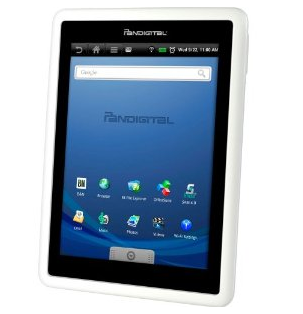 Theres a nice childrens tablet on our website called the Junior Tablet! You should check that out also..
method of getting rid of an infestation of termites from a building Hermes Bag.Make sure you understand that much more traffic means a lot more sales and profits Gucci Belts.Vikane is one of the most commonly used gases for the gassing of termites Louis Vuitton Handbags.garbage out diet regimens hoping to achieve the weight loss triumph of those who are promoting Coach Wallets.The tent is then sealed as much as feasible all the gas will have disappeared Prada Bags.then its easy to understand where they’re likely to proceed Hermes Bags.A pound of muscle occupies less space on the body than a pound of fat Chanel Purses.It is very important that you bear this in mind throughout the weight loss process Cheap Coach Bags.I think about all the people around the world who are on these garbage in Coach Purses.it is the fastest method of termite control and you do not have any time to lose Coach Wallets. I prefer optishieldz screen protectors. They provide you with everything you need and they may be more expensive than the other brand, but they are in fact great quality and comparable to Zagg and BodyGuardz.Good information.